58 Pattern belt in olive. 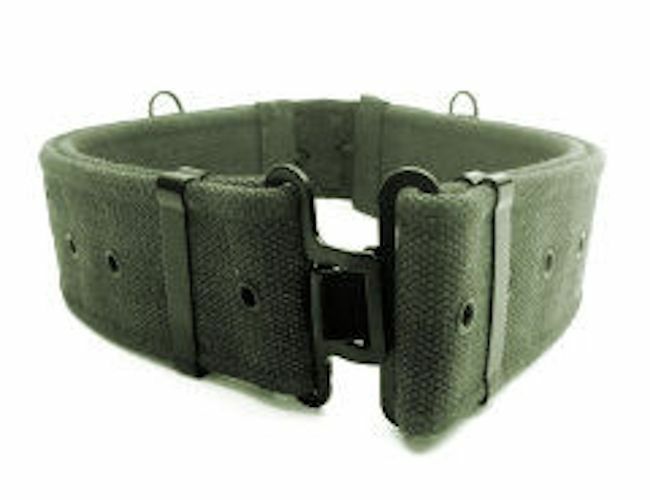 This is a heavy duty 58 pattern webbing belt in drab olive colour.It comes with adjustable hooks and 2 side sliders. Tough and durable this is one of the iconic belts that has stood the test of time. The quality shines through with this belt. Adjustable up to 110 cm.